Pisco, the west peak at left, as viewed from the Chopicalqui trailhead. 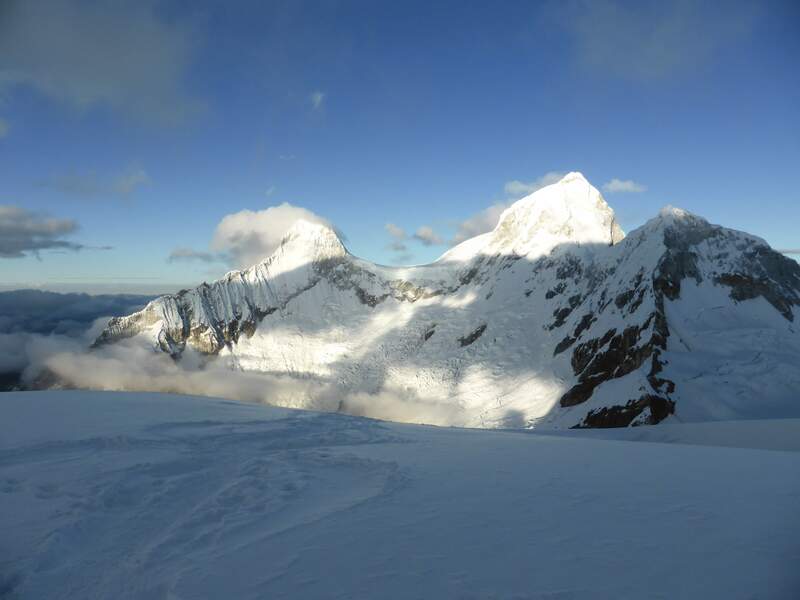 5752m Pisco, or more accurately Pisco West, is possibly Peru’s most popular high altitude climb. Widely considered a trekking peak, Pisco’s west summit presents a mostly non-technical glacier hike. Despite being higher the eastern summit of Pisco is seldom climbed as it is far more technically demanding. 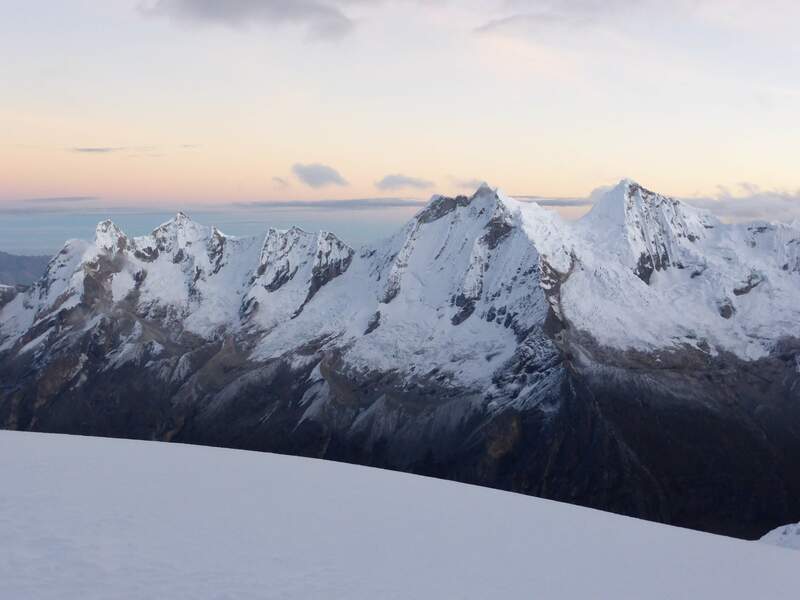 Pisco’s incredible summit views, relative ease of access due to a comfortable refuge, and technical accessibility along its normal route all combine to make it an appealing target as an acclimation peak. Approach hike to the refuge. I was stirred up from a failed attempt on Chopicalqui in perfect conditions a few days earlier, and decided to tackle something easier and lower in order to make up for it. I had rushed my acclimation schedule early into this Peru trip and suffered a persistent loss of appetite as a result. 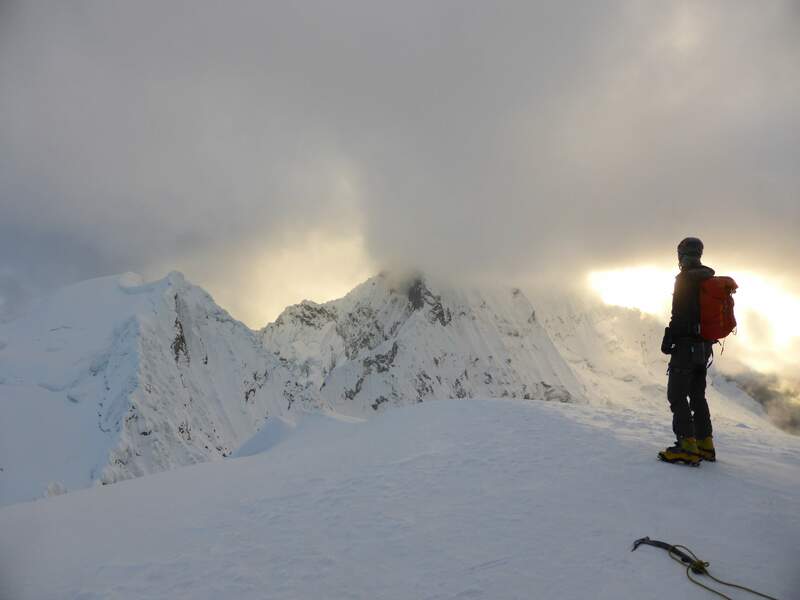 Having eaten next to nothing for four days on Chopicalqui my energy had simply given out some 90 minutes into the summit push, leaving me disheartened and disappointed in myself. I had slipped up and failed to manage a good food system such as the one which I used earlier in the year on Aconcagua, and didn’t feel confident in my ability to attempt another 6000 meter peak without more acclimation. Despite the decision to take on something lower and easier, we still wanted to get at a big glaciated peak and take in some scenery. Famous for its spectacular summit views, Pisco seemed to fit perfectly. Pisco West from below the refuge. Day 1: Our trip began in Huaraz, the climbing capital of Peru’s Cordillera Blanca. Throughout my trip I climbed with friend and guide Edgar Parra, and for Pisco we were also accompanied by the two Ecuadorian friends whom we had attempted Chopicalqui with. The four of us booked an early morning taxi from our hotel to the Quebrada Llanganuco via the town of Yungay. This beautiful area is a huge valley wherein stunning glacial lakes glow an unreal shade of light blue. The Quebrada Llanganuco is an entry point for several of Peru’s popular climbs, and I would visit it no less than four separate times throughout this trip. While the drive from Huaraz is long and rough, the scenery doesn’t disappoint due to the numerous high peaks visible along the way. The trailhead for the Pisco refuge, on the same road as the Chopicalqui access point, was crowded with other climbers preparing for the approach hike. The hike from roadside to refuge was long and cumbersome with heavy bags, but not particularly difficult. Like most of the Cordillera Blanca, just getting to the base of Pisco requires a full day of hiking through foothills. Finally reaching the refuge at the end of the approach hike. Pisco looms high above the refuge, appearing deceptively close. In reality the base of the glacier is still quite distant, several hours walk from the refuge itself. The refuge was comfortable, dry, heated, and not overcrowded. The refuge staff served tea and snacks, and for a reasonable price we purchased a hot dinner before settling in for rest. We slept using our sleeping bags on refuge bunks, and marveled at the quality of the service and facility (even the washrooms!) as compared to mountain refuges found in other countries. Day 2: Awake at midnight, we began moving at around 1 a.m. The night was still and clear, with no wind. We began hiking up the moraine behind the refuge, shedding layers as we went. By the time we reached a flat section often used as a ‘high camp’ alternative to the refuge, we were all moving in just our base layers. The night was so warm that I would later take my sweat soaked base layer off and pack it, opting to wear a dry mid layer against my skin. The approach from the refuge to Pisco’s glacier was long, physical, and annoying. The route first ascends a ridge and then descends into a valley before heading back up again, all the while following a slippery path of scree and loose boulders. In a sense, Pisco’s moraine was more difficult and more dangerous than the glacier itself. Near the base of the glacier we passed two large commercial groups and discovered that with nobody ahead of us we had the mountain to ourselves. At the glacier’s nose we put on crampons, roped up, and began following the moderate slopes upwards. The weather was perfect, with no wind and comfortable air temperatures, but despite this the snow conditions were firm and good. Pisco’s normal route takes a very clear line and following the wide, rolling ridge we encountered no significant crevasses or other difficulties. Some three hours of maintaining a steady pace later the summit pyramid came into view, and we realized that the climb was almost over. Having felt somewhat slow and lethargic throughout the climb, likely due to a very short night’s sleep, the summit’s appearance above us gave me an energy boost, and we quickened our pace to the top. To say that Pisco’s summit views are good does not do justice to the scenery. 6000m giants rose around us, layers of cloud flowing between them. The Huascarans and Chopicalqui stood beside us, the clouds obscuring their summits forming a mysterious, surreal landscape. The Huandoys behind us caught the morning sun, and would later direct our route of descent. To the east the sun rose behind Chacraraju and a layer of clouds, casting an orange glow across the sky. Artesonraju and Alpamayo were visible as vague pyramidal forms in the distance, appearing only intermittently between breaks in the shifting cloud cover. Chopicalqui and the Huascarans, wreathed in clouds. 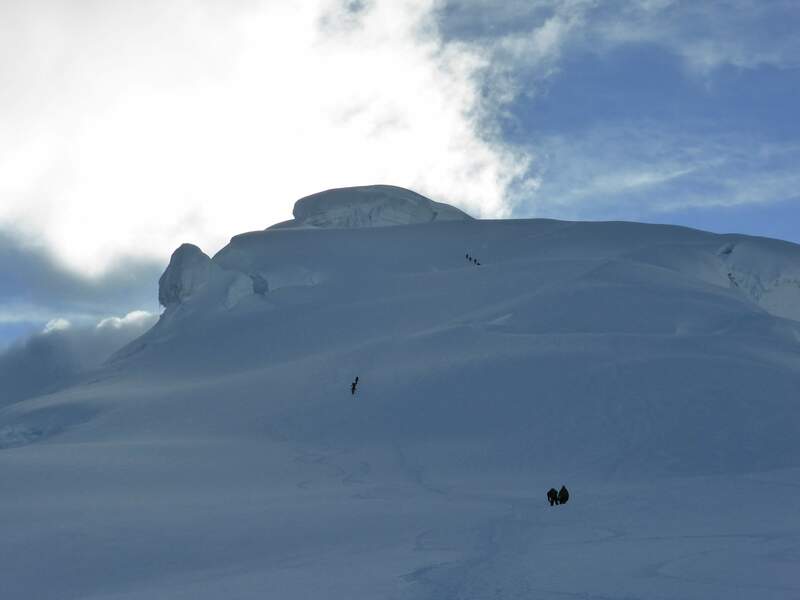 Looking back at the summit pyramid, our two Ecuadorian friends still atop. After around 20 minutes taking photos and celebrating on the summit we decided to begin descending. In daylight the entire route stretched out in front of us, and looking back we were able to appreciate how large Pisco is, a giant even as one of Peru’s smaller mountains. Dwarfed by the huge peaks which surround it, nonetheless Pisco would be considered absolutely massive in most other countries. 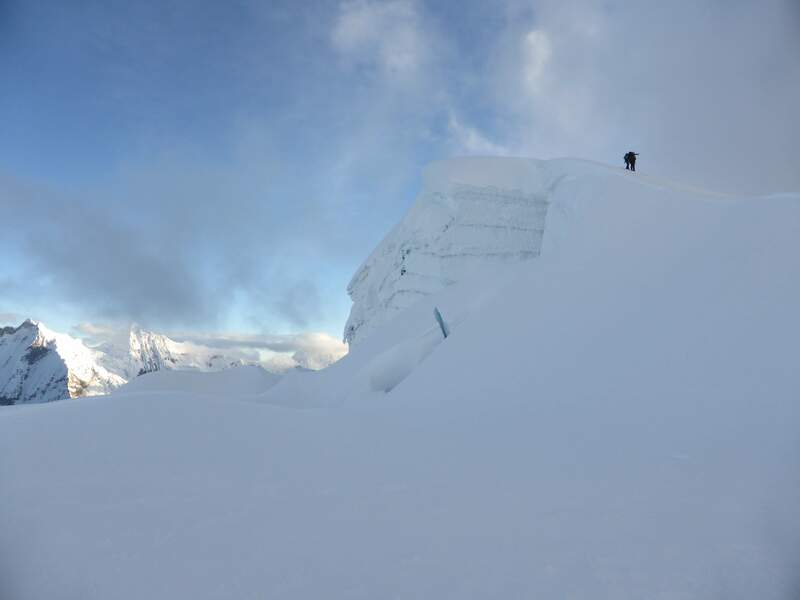 Looking back at Pisco’s summit pyramid, several other climbers still ascending. Our descent was fast and uneventful, and we soon found ourselves back at the moraine. We hydrated, changed layers, packed our rope and glacier equipment, and began the long hike back to the refuge. Pisco was a beautiful and enjoyable if easy climb. Worth ascending for the summit views and by no means a small peak at over 5500m, Pisco was the perfect mountain for getting back into the right mental space after my disappointing attempt on Chopicalqui. 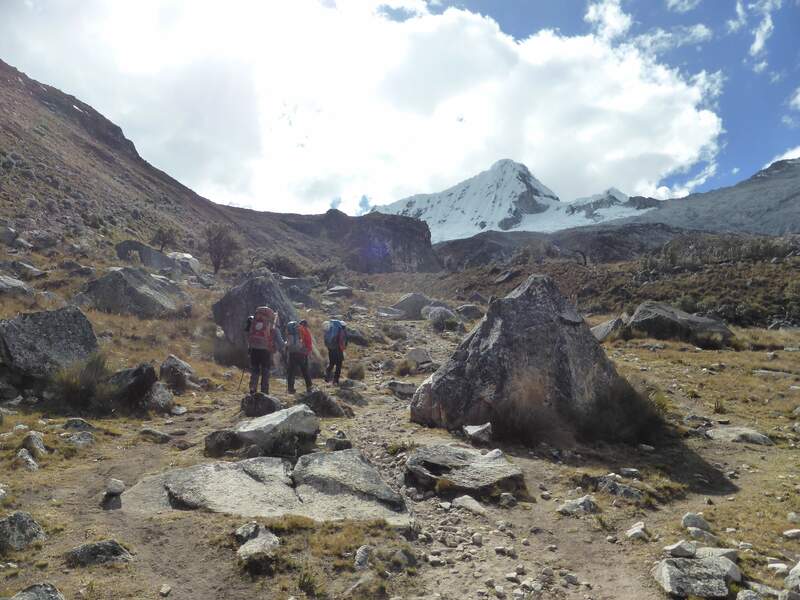 We would later return to Huaraz on the same day as descent, take a day of rest, abort an attempt on Huascaran Sur due to inclement weather and an unexpected refuge closure, and then finish the trip with a wonderful ascent of the technical but accessible Yanapaccha. When I return to Peru I will likely visit Pisco again, either for acclimation and warm up or just to take in the scenery from its summit once again. Peru is an incredible destination for mountaineering, and attracts climbers from all over the world. 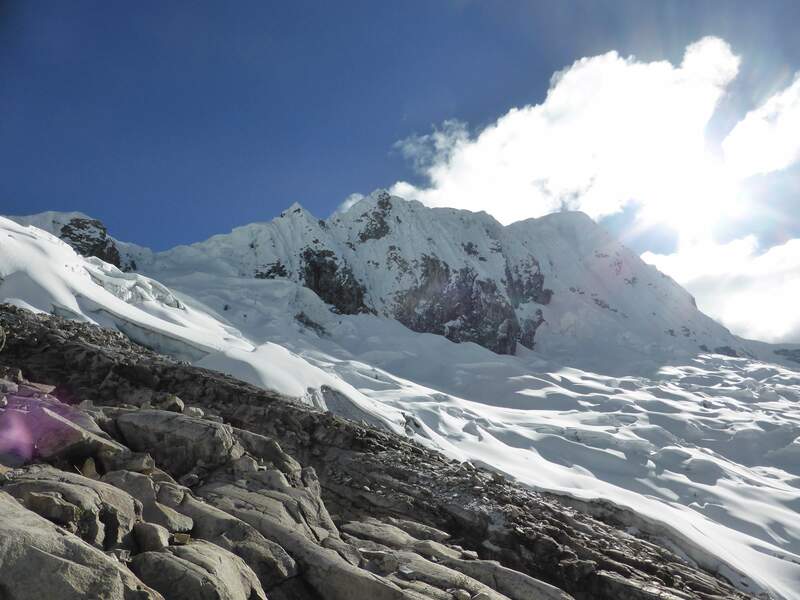 The Cordillera Blanca is a climber’s paradise, with seemingly endless possibilities ranging from accessible and intermediate to extremely difficult and seldom-climbed peaks. 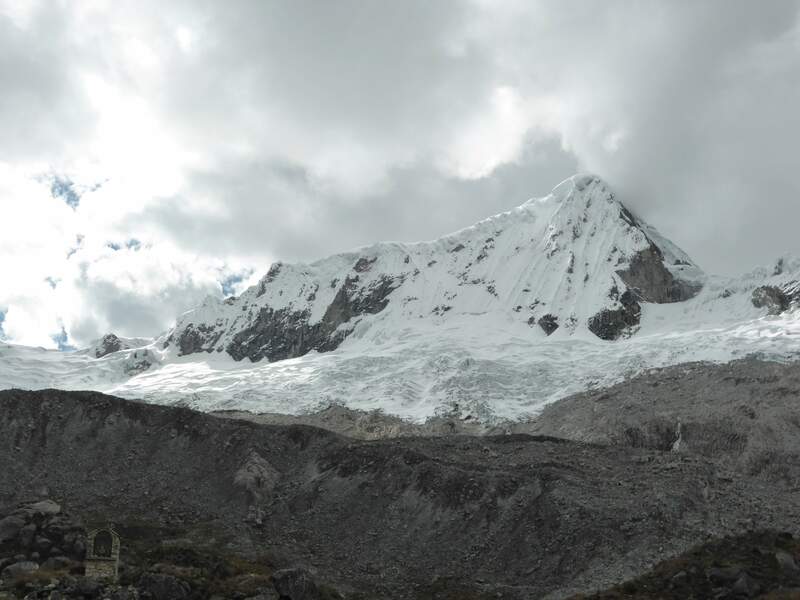 Peru’s peaks for the most part are technical affairs, and almost all of them involve very physical, lengthy approaches. Despite being a technically simple peak Pisco is no exception to this. The approach, especially the enormous moraine between refuge and glacier, is long and arduous. 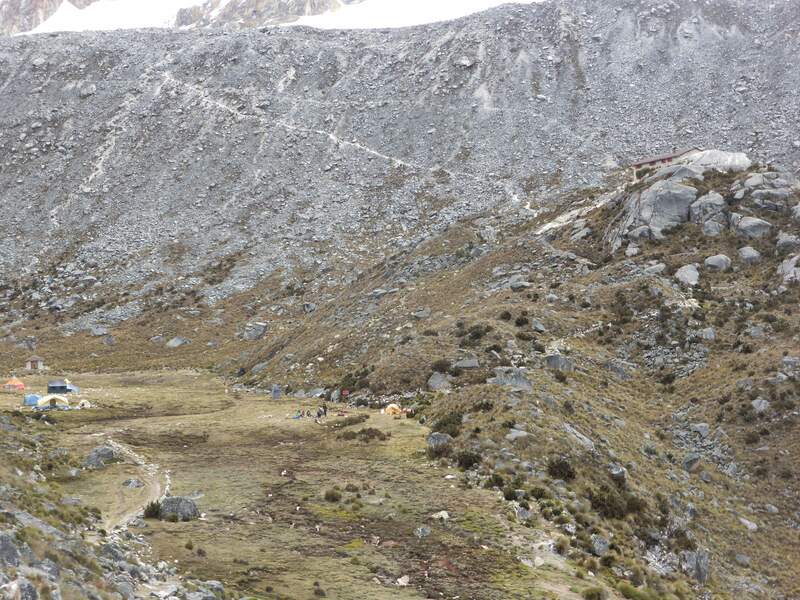 Around a half dozen of the climbers whom we met in the refuge did not even touch Pisco’s glacier, and threw in the towel on their climb partway through the moraine. 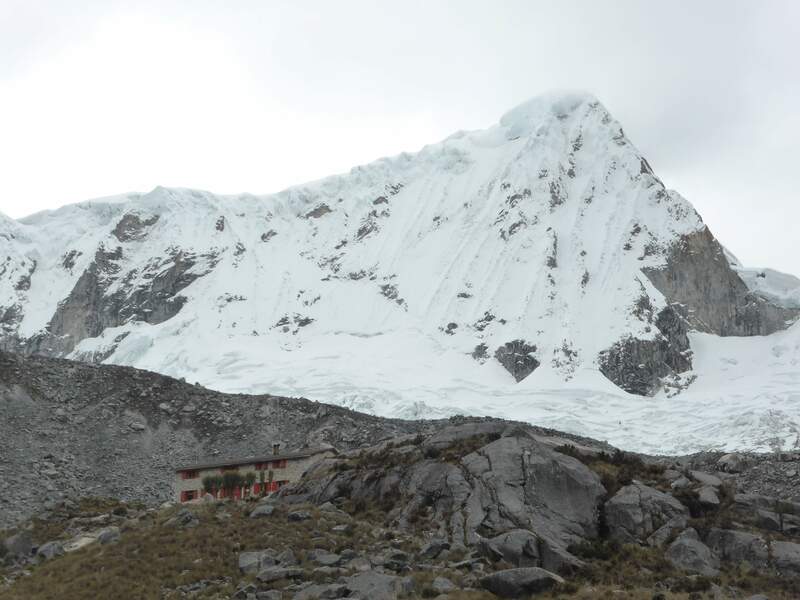 Because of the approaches and higher technical grade of most peaks, the Cordillera Blanca is generally not considered a good area for inexperienced climbers to begin learning in. 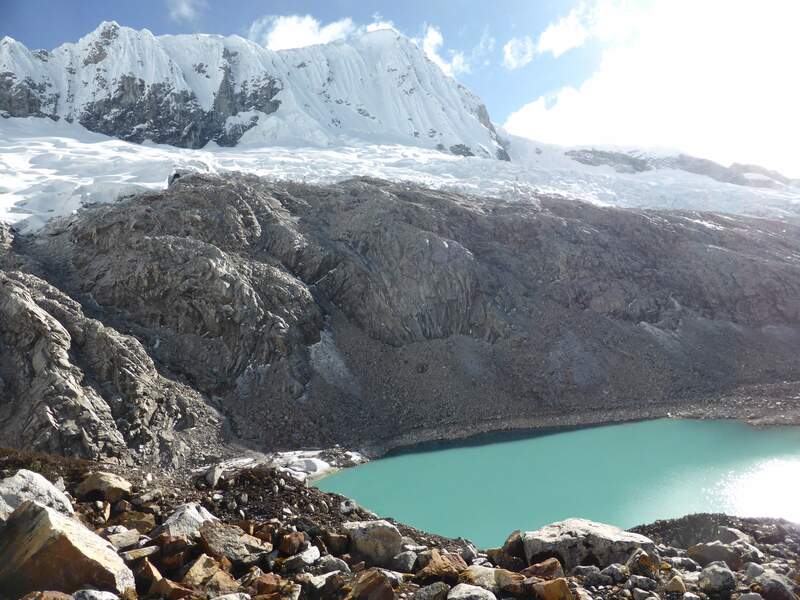 The Cordillera Blanca also hosts numerous high quality multi-day trekking routes which draw a diverse assortment of travellers into Huaraz – in town one will run into world class alpinists, casual trekkers, wealthy American tour groups, grimy budget adventurers, and everything in between. 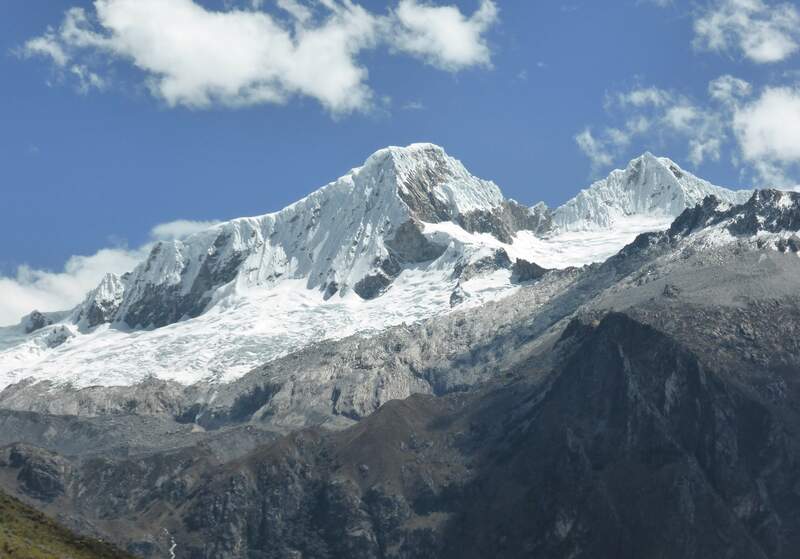 Huaraz is a city with a thriving tourist industry. Local guides can be hired on the spot or in advance, and logistics services are easy to obtain from any number of local outfitting companies. Taxis can be used to reach the starting points of approaches, but group transportation is also offered by logistics companies and is less expensive once the cost is split with others. 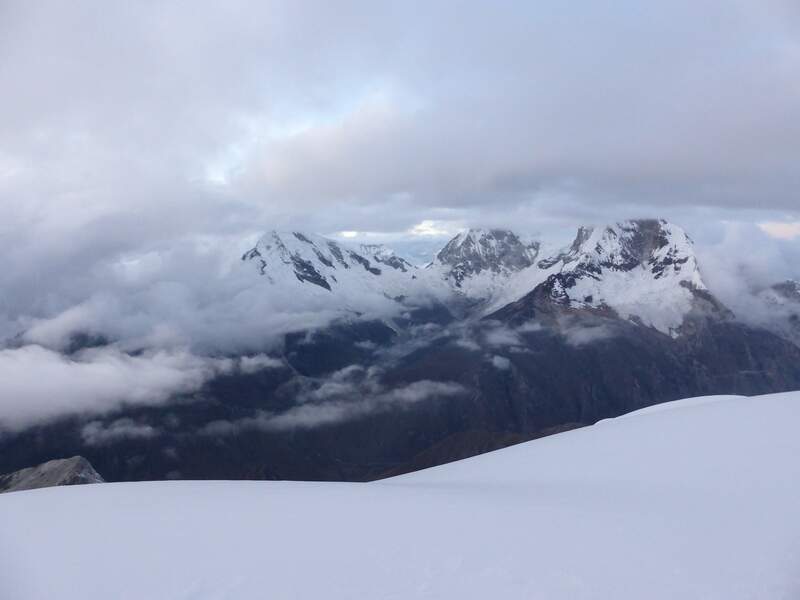 This entry was posted in Mountaineering, Peru and tagged Huandoy, Huascaran, Peru, Pisco, Refuge by Ian. Bookmark the permalink.